The most awaited movie Project Ghazi, movie is all set to be released on 14th July, 2017, nationwide. Project Ghazi is the first ever super hero movie to be made in Pakistan, the movie is produced by Ali Raza and directed by Nadir Shah. Cast of the movie includes some prominent faces of the Pakistani film Industry namely, Syra Shehroz, Sheheryar Munnawar, Humayun Saeed, Aamir Qureshi, Raza Hyder, Nusrat Hidayutullah and Adnan Jaffer like you have never seen them before. Project Ghazi’s story is all about a mission which focuses on the intolerance in our society and being an action movie it also touches the Sci-fiction genre. Producer of the movie, Ali Raza comments, “When I heard of the story by Nadir, I was fascinated by it, we all want to have such movies that would have a unique story line and I, myself cannot wait for it to release. “Project Ghazi is Pakistan’s first superhero movie and is one of its kind, we have done so much to make it the best for audiences and I am sure they will love it” commented the director Nadir Shah. “Project Ghazi is ready to rule the cinema screens on 14th July 2014 nationwide. This movie is going to be a complete different experience for the viewers and it will be a game changer for the Pakistani film Industry.” Shares Kamil Bhatti from Tang. Project Ghazi is all set to release on 14th July 2017 nationwide. 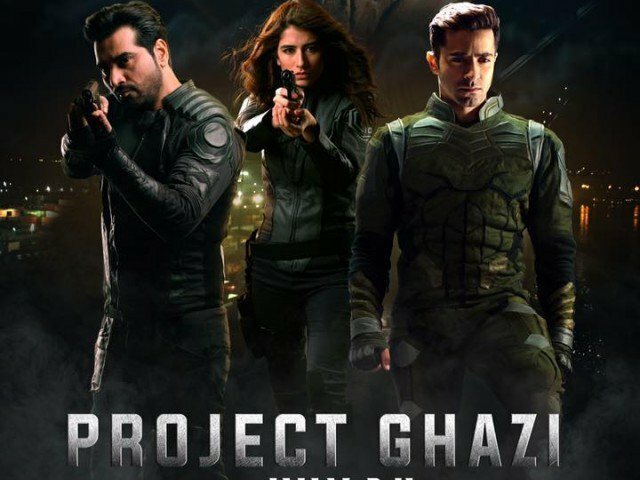 Project Ghazi is the first ever super hero movie to be made in Pakistan and the cast includes Syra Shehroz, Sheheryar Munnawar, Humayun Saeed, Aamir Qureshi, Raza Hyder, Nusrat Hidayutullah and Adnan Jaffer. Project Ghazi’s story is all about a mission which focuses on the intolerance in our society and being an action movie it also touches the Sci-fiction genre.